1. 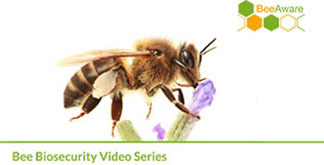 What is honey bee biosecurity? Australia’s honey bee biosecurity system plays a crucial role in protecting the health of our honey bees. 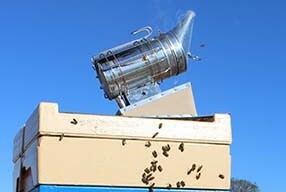 Honey bee biosecurity is a set of measures designed to protect your honey bees from established and exotic pests. The National Bee Biosecurity Program has been developed to help Australian beekeepers manage pests that are already present here, and to prepare for incursions by exotic pests. The National Bee Industry Biosecurity Code of Practice outlines basic practices every beekeeper can do to help maintain healthy bee populations in Australia. Many serious pests are right on our doorstep in neighbouring countries. Because of these risks we have developed a national surveillance program to protect Australia’s honey bees. Even though the Varroa destructor mite is not present in Australia, it is a major threat because of its ability to devastate honey bee colonies and fundamentally change beekeeping practices. Looking at the spread of Varroa around the world and the experiences from living with it, can give us a good idea what might happen in the event of a Varroa incursion in Australia. 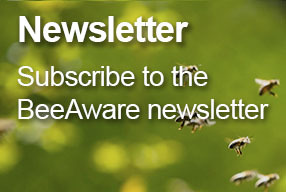 While Australia is currently free from Varroa, it is likely to enter and become established at some stage in the future. Understanding Varroa’s life cycle and knowing what to look for will help us to detect it as soon as possible. Varroa destructor mite has a range of effects on honey bees which reduces the survival of infected bees, causes deformities to adults, reduces colony production, and ultimately contributes to the death of the bee population. 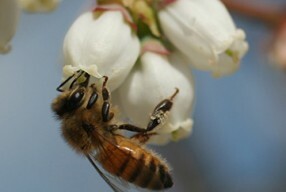 Knowing the effects it can have on honey bees will prepare us for when it arrives. The impact of a mite incursion on the beekeepers and growers will depend very much on the season in which the incursion occurs, and where it occurs. An effective tool to limit the spread of Varroa is to restrict the movement of hives, beekeeping equipment and bee products from the state where it is first detected. 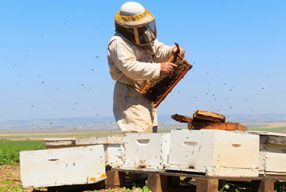 While Australia is currently free of the Varroa destructor mite, its presence could permanently transform beekeeping and plant industries that currently rely on them for pollination services. Pollination is an important part of the commercial production of many crops, but if Varroa destructor becomes established in Australia, based on overseas experience, we can expect to lose both unmanaged and managed colonies. Both hobby and commercial beekeepers play an important part by regularly looking for Varroa and other exotic pests in their hives. It is essential that any incursion of the mite is found early enough so we have the best chance of being able to contain its spread. Varroa has develop resistance to the range of different control measures used overseas. To combat chemical resistance, one control option known as integrated pest management (IPM) combines the use of biological, cultural and chemical practices. Ideally, IPM is inexpensive, causes few or no chemical residues, does not result in pest resistance to chemicals, and does not cause environmental damage. If Varroa destructor mite arrives in Australia it will be the last major beekeeping country to get the mite. 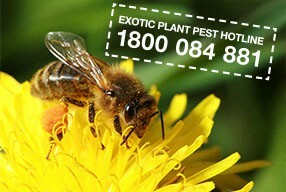 Several chemicals are permitted for use in Australia, but currently only in an emergency response, such as when Varroa first arrives.